The spectacular water at Chalk Sound and Sapodilla Bay, Providenciales. 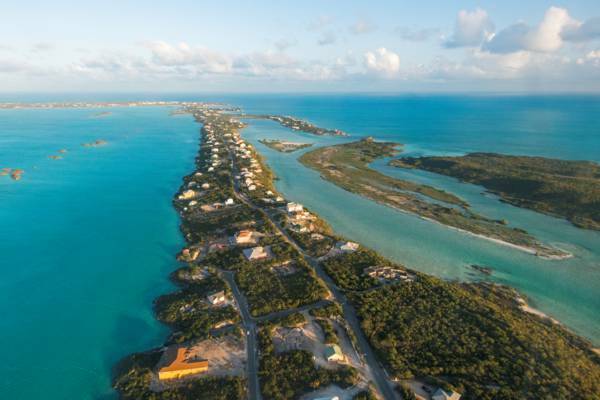 The villas of Chalk Sound, Providenciales. The largely residential region of Chalk Sound is located adjacent to the spectacular Chalk Sound National Park lagoon on the southwest side of Providenciales. The region is situated on a narrow peninsula that separates the interior lagoon from ocean. Chalk Sound is the location of many affluent private homes and mansions, quite a few of which are vacation villa rentals. Accommodations in Chalk Sound typically feature one of two spectacular views: to the north over the tiny islands and brilliant turquoise waters of the inland lagoon, or to the south over the Caicos Banks. Other than Las Brisas Restaurant, there’s very little tourism development near Chalk Sound area of the island. The dining, shopping and resorts of Grace Bay and the Bight are a 9 mile (14.5km) drive away, and there’s no organized public transport. As is the case for several residential regions on Providenciales, we feel that a rental car is a necessity if you’re staying in Chalk Sound. Taylor Bay Beach in Chalk Sound. Two beautiful and sheltered beaches are found in the Chalk Sound Region: Sapodilla Bay and Taylor Bay. Both beaches are typically a bit calmer and consistently shallower than other coasts on the island, and consequently make for great family and children’s beaches. Sapodilla Bay and Taylor Bay tend to have a much finer grain of beach sand than what is found at the famous Grace Bay and Leeward beaches. Due to being located on the western side of the extensive Caicos Banks, the sand common to the Chalk Sound region has generally migrated much greater distances than what is typical for the sand at many of our north coast beaches. Almost all of the sand in the Turks and Caicos is produced from broken-down coral and shells on our barrier reefs. On the comparatively small Turks Islands of Grand Turk and Salt Cay, and on the popular north coast beaches in the Caicos Islands, this sand only travels a short distance until it accumulates as a beach. 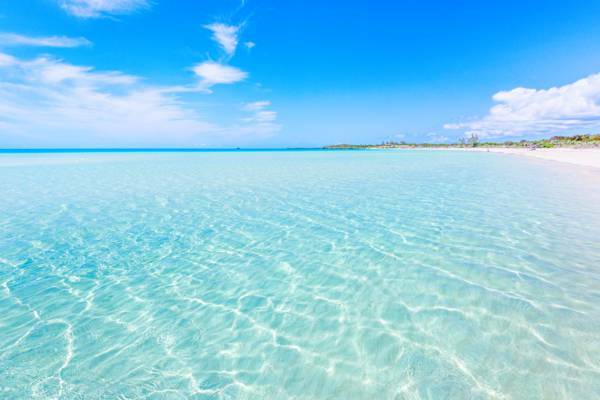 In the case of beaches on the Caicos Banks side of the country, the sand may have travelled 50 miles (80km) or more, and is consequently fine-grained and consistent in shape, which results in a siltier feeling beach. A rather rare and unique terrain covers much of the Chalk Sound area. As is the case for much of the country, Chalk Sound has a marine limestone bedding foundation. Due to the area’s limited expanse, and exposure to the constant weathering by the wind and ocean, soil is scarce and quite a bit of the limestone rock is exposed. Much of the rock features intricate and delicate ironshore formations, and miniature Karst process sink holes and caves are common in the rock. 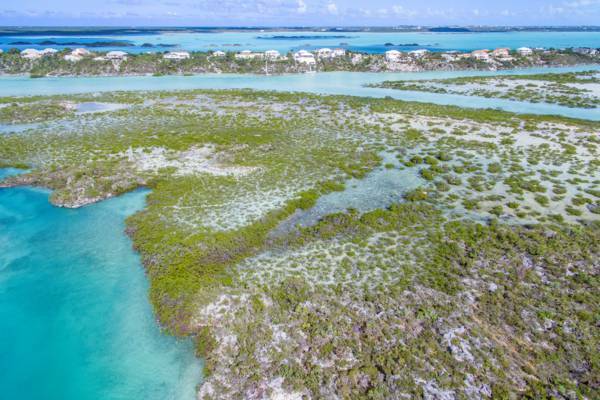 Ironshore is extremely rare in the Caribbean, and for the most part is found only at a few locations in the Turks and Caicos and southern Bahamas. Salt resistant and stunted vegetation ekes out an existence in the environment, and is surprisingly dense considering the terrain. Joe wood, West Indian Mahogany, endemic orchids, thatch palms and the poisonous coral sumac take on a bonsai-like structure. Until the tourism boom of the 1980s, Providenciales was a very quiet place. There is some slight evidence of Loyalist-era settlement, yet recorded history largely begins with George Silly’s (the Silly Creek development was named after the man) introduction of sea sponge farming in the lagoon at the beginnings of the 1900s. After the farming attempts collapsed due to a “blight” that affected the sponges, the area was largely abandoned until the last several decades.